By comparing the typical examples of the plants and trees like Mango, Guava and Rose, Coriander, we will able to differentiate the simple, and the compound leaves easily. As in simple leaves, there is only single leaf blade and incision, which are so light that does not divide the leaf blade, but in compound leaves the incision is so deep that the leaf blades are divided into leaflets. Each one of us is aware of the importance of plants in an atmosphere as well as for living beings. Even the parts of the plant like leaves, fruits, flowers, stem, roots are also essential. Hence it is worthful to know in in-depth about them. In this content, we will be talking about the leaves, its types, and importance. Leaves are known for carrying out the photosynthesis, storing food and water. These can be of different shapes, size, colour, arrangments as well patterns. Each leaf contains leaf blade or lamina, petiole, and the stipule. Lamina or leaf blade is a broad portion and is attached to the petiole and further extended to the stem. Axil is another point, where petiole joins the stem, while stipules are present at the leaf base, these are the small bud-like structure. But the above properties of the leaves may vary in different places, as due to different environmental condition leaves can become modified and adapt according to the environment. Leaves also play a vital role in identifying the type of species of tree. 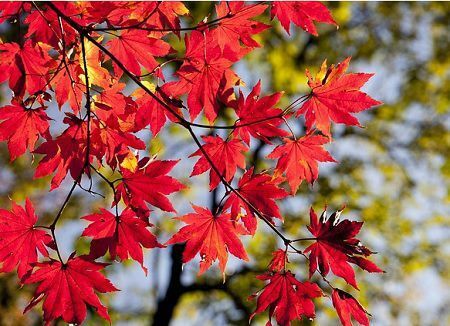 So we can say that leaves can be of the different arrangement, shapes and due to which these are classified into two categories which are Simple and Compound leaves. Meaning Such leaf in which the leaf blade or lamina is undivided into lobes is called simple leaf, and the arrangement of such leaves are in acropetal succession. The leaf which properly shows the division of leaf blade or lamina into leaflets is called as compound leaves. These leaves do not make acropetal succession arrangments of the leaflets. Leaf blades They have single blades. They have smaller and separate leaf blades called leaflets. Axillary bud Bud is placed in the axil (near the petiole and stem). Each leaflet does not have axil, though buds are placed in the axil of the leaf. Division in lamina There is no division of lamina. The lamina is divided into more than two leaflets, arising on the side of a rachis or at the tip of the petiole. Stipules The base of a leaf contains stipules. The stipules are found at the base of the leaf, but other additional structures are absent. Examples Black gum trees, Black cherry trees, Guava, Mangoes, various types of Oaks. Rose, Neem, Shame plant, Buckeye. There are many examples which will explain the pattern the simple leaves have. Pear plants, Oregano, Hibiscus, Maples, Black oak, Scarlet oak, Sycamore, are some of the common names. So simple leaf is said to be simple as the leaf is joint to a stem, through petiole without any subdivisions in them. True leaf is directly attached to the tree-bud. Rose, Neem, Baobab, Desert cotton are the some of the examples of compound leaves. Compound leaf along with the main leaf, it has many leaflets joint to the stem through petiole and shows the complete division of the lamina or leaf blade along the midvein. The stem on which such arrangement is seen is called rachis, which is the modified mid-vein. Compound leaves are of different forms, but broadly classified as Pinnately Compound leaves and Palmately Compound leaves. Pinnately Compound leaves: The term ‘pinnation’ refers to the sub-division of a leaf into leaflets. The pinnate leaflet arrangement can be either evenly paired or oddly paired. In the even-pinnate leaflet arrangement, the arrangement of the leaflet is oppositely, and the rachis at the ends (termination point) are sprout with two leaflets, called as Paripinnate. Mahogony, Tamarind, and Candle bush are few examples. In the odd-pinnate leaflet arrangement, the leaflet arrangement is oppositely, but the rachis at the end are sprout with the single leaflet, called as Imparipinnate. Pecans, Roses, Acacia are some of the examples. Based on the pinnation arrangement, pinnately compound leaves are of three types, which are – Unippinate, Bipinnate, Tripinnate. Unipinnate – When there is the regular arrangement of leaflets on the rachis, it is called as unipinnate. The example is Azadirachta indica. Bipinnate – It is also called twice-pinnate or double pinnate, in this, there is secondary rachis or axis on which the leaflets are arranged, apart from the main rachis or axis. The example is Mimosa pudica, Honeylocust. Tripinnate – In this type, the single leaflets (unipinnate leaves) are replaced with bipinnate leaves and so-called as tripinnate leaves. The example in Moringa oleifera. Palmately Compound Leaves: The leaflets arise from the single point of the petiole it is called as Palmately Compound leaves. The leaflets arrangement is compared with the fingers of the palm, and so the leaves got the name as palmate. These are further divided as Unifoliate, Bifoliate, Trifoliate, and Quadrifoliate. Though there are few common trees found with these types of arrangement, examples of some of them are Citrus maxima, Citrus limon, Bauhinia Yunnanensis, Clover, Oxalis, Marsilea, Buckeye, Chestnut. 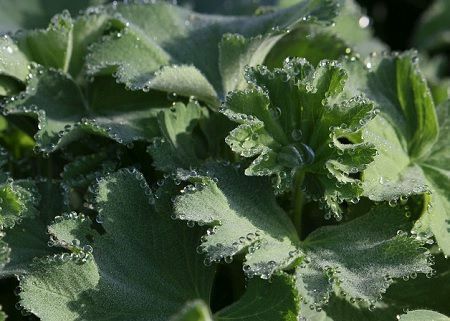 In a plant, if simple leaves are present, then leaf blade or lamina remains undivided into lobes and are directly attached to the stem, even the arrangement of such leaves are in acropetal succession. On the other hand, if we are discussing the compound leaves, we can see the proper division of leaf blade or lamina into leaflets, which terminate with the single or double leaflets. These leaves do not show the acropetal succession of the leaflets. Simple leaves have single leaf blade or lamina while compound leaves have smaller and separate leaf blades called leaflets. The base of a simple leaf contains stipules, but in compound leaf, the stipules are found at the base of the leaf, but other additional structures are absent. 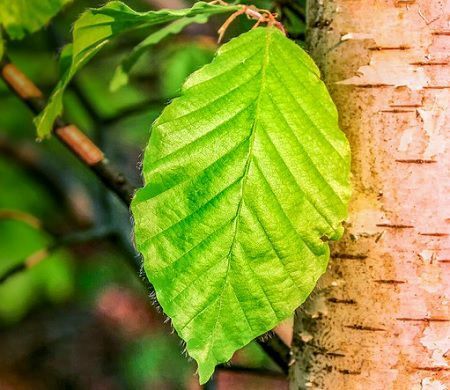 Examples of the simple leaf are Black gum trees, Black cherry trees, Guava, Mangoes, various types of Oaks, while Rose, Neem, Shameplant, Buckeye are few examples of compound leaves. So we can say that simple and compound leaves can be differentiated by the division of leaf blades or lamina. Though the above article is the overview of the identification of the leaves and how they can be classified by the arrangement of the leaflets. We also came to the know the importance of the leaves and how they are helpful to the atmosphere as well for the living being.